Doesn’t December come round faster and faster every year? Christmas is upon us, and Christmas at Baldry’s Grasmere is well under way. Pay us a visit, and see if we can tempt you with any of our Christmas goodies! Yes, it is as nice as nice as it sounds! Every year, the Christmas sandwich goes down brilliantly well with our customers (and staff!). However, this year we have made them a little bit differently! Inside our homemade white bread rolls, stuffing mix is added to the bread ingredients to create our own stuffing bread roll, and it’s brilliant! Ingredients include roasted turkey, sausage, bacon, and finished off with a layer of cranberry sauce. Served with salad or soup, this truly is the perfect winter warmer! Throughout the winter, we like to put on an extra special blend of tea, just to help us get in the Christmas mood a little more. This year we chose the Spiced Christmas Blend from our main coffee and tea supplier, Farrer’s. The Spiced Christmas Blend is a mild black tea combined with warm cinnamon, clove spicing and citrus tang. Definitely one of our favourites now! Here at Baldry’s Grasmere, when it comes to the festive period we like to put on a Christmas spin on some of our classics. This year, instead of our regular chocolate cake, we are making a Yule log with chocolate butter icing and decorated in a Christmas fashion! We will try our best to either have homemade mince pies, or a special mincemeat Bakewell tart on every day! 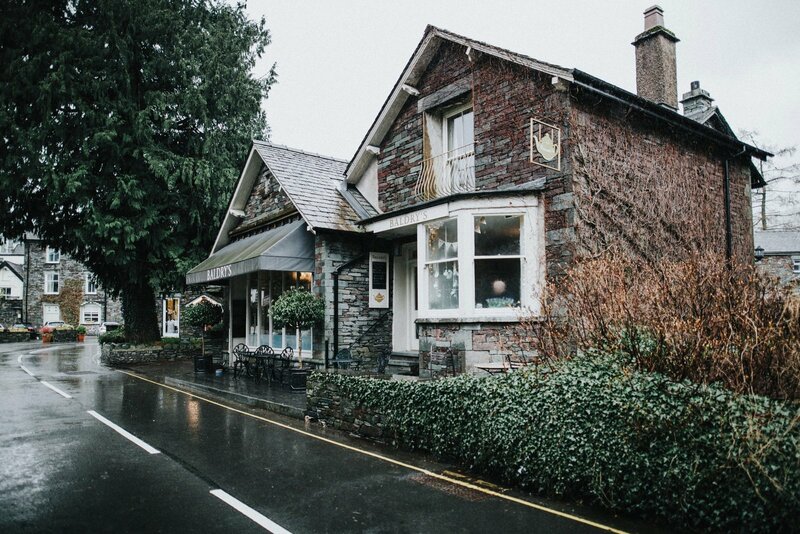 We hope you can join us this Christmas at Baldry’s Grasmere, and make sure you try out some of our Christmas treats!